Lunges are an effective bodyweight exercise for your strength training program. Because it takes little or no equipment, it is a very good leg exercise for your home workout program. Lunges are an effective body weight exercise for your quadriceps. Lunges also work your glutes and hamstrings, and make a great supplemental leg exercise for your strength training program. The lunge is a highly versatile exercise. It can be performed anywhere using your body weight, and you can therefore add it easily to your home workout program. You can add barbell or dumbbell weights for a greater intensity and muscle building effect. Begin the exercise from a standing position with your feet close together. Take a large step, lunging forward and lowering your body in a controlled manner until your forward thigh is parallel with the floor. Your rear knee may touch lightly on the floor. Take care to maintain your balance and keep your torso erect as you lunge forward. Using your forward leg, press your body back up to the starting position. Repeat the exercise alternating legs. Taking a large step, with your forward foot well in front of your other knee increases the emphasis on your glutes and hamstrings. Taking a shorter step, with your forward foot near your other knee increases the emphasis on your quadriceps. Lunges should be performed with relatively high repetitions. Complete your entire set with the same leg before switching to your alternate leg to increase exercise intensity. Lunges require a great deal of balance. Make sure you have this exercise mastered without weight before deciding to perform with either a barbell or dumbbells. If you cannot maintain your balance to perform the lunge, keep your forward foot in position, drop until your forward thigh is parallel with the floor, then press back up keeping your forward foot in place. Complete a full set, then alternate to your other foot. 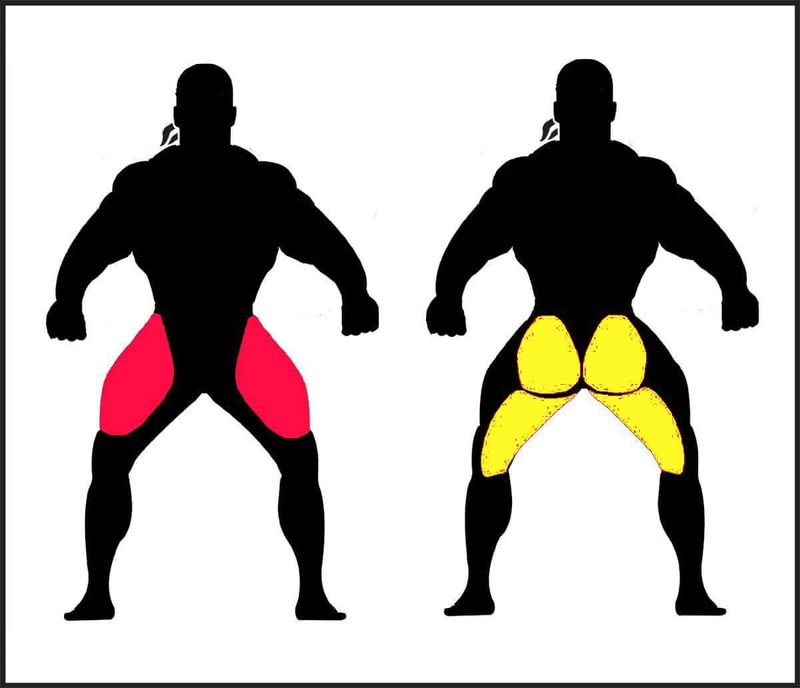 Failure to lower your body until your forward thigh is parallel with the floor. Swinging your arms as you perform the lunge to use momentum for assistance. Weighted Lunges: Perform lunges using a barbell or dumbbells. When using a barbell, rest the barbell across the back of your delts as you would when performing squats. With dumbbells, hold a dumbbell in each hand, letting your arms hang straight down – do not swing your arms to use momentum for assistance. Walking Lunges: Step forward as with a normal lunge. Instead of returning to the starting position, bring your rear leg forward and step into the lunge position. Continue moving forward until the desired distance is reached. Walking lunges may also be performed with dumbbells.